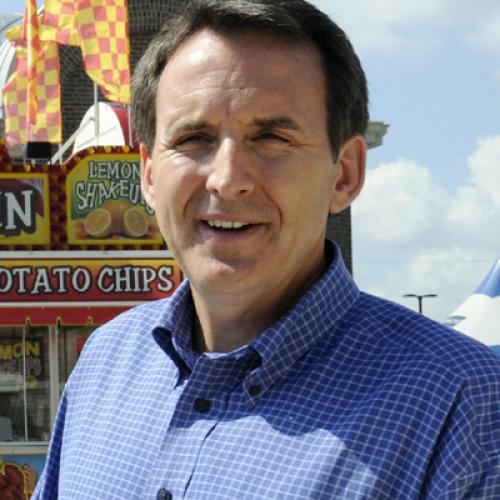 Tim Pawlenty, outgoing governor of Minnesota, is gearing up to run for president. When he does, I hope somebody asks him why he wanted to go easy on the insurance industry, potentially forcing his state's residents to pay more for their health insurance. On Tuesday, Pawlenty signed an executive order prohibiting Minnesota state officials from applying for, or accepting, special discretionary grants that the Affordable Care Act makes available to states. These grants represent a tiny fraction of what the Act will start dispensing in 2014, when the government expands Medicaid and starts offering subsidies to Americans with private insurance. But these grants can provide at least some short-term help to people who now lack affordable, accessible insurance. The grants will help states educate consumers about coverage options, for example, and expand (or create) temporary programs that offer limited coverage to people that have pre-existing medical conditions. The catch is that the states have to ask for the money. Tuesday's order means that Minnesota won't be among those asking. And it's not the first time Pawlenty has taken this sort of action. After reform passed, state officials began preparing an application for a "rate review" grant--that is, money to help the state research, review, and potentially reject proposed premium increases by private insurers. By August, the letter was ready to go. All it needed was Pawlenty's signature. And he refused to give it. The video below, via the Minnesota Independent, records the incredulous reaction of one state legislator: "Rather than sign a letter we gave up a million dollars?" A million dollars isn't a lot of money, obviously. But it's not the only example and, besides, you'd be surprised how far that can go in this sort of agency. The addition of just two or three extra analysts could allow it to provide significantly more scrutiny of insurers. Pawlenty and his supporters would argue this is a morally important, symbolic stand against federal intrusion into their lives. But that's a pretty weak argument in this case. The state performs a lot of these functions already. Extra federal money simply allows them to do it better, and more effectively. The big question looming for Minnesota ... is what Pawlenty will do about Medicaid. The governor has already declined to take federal funding to expand the state's Medicaid program ahead of the 2014 deadline called for under health reform, but he hasn't yet said if he'll apply for hundreds of millions in extra Medicaid funding available now as part of new legislation designed to help states get through the recession. The irony here is that Minnesota, historically, has a strong progressive record on health care. I was never a big fan of leaving the states so much discretion over health care reform, figuring some states would resist. But I never thought Minnesota would be among them. Obviously, I didn't account for its outgoing governor and his presidential ambitions. Update: I added a "potentially" to the first sentence. I think, and have argued many times, that going easy on the insurers will result in higher premiums. But that's a subject of respectable disagreement. Also, Steve Benen notes that Pawlenty's actions provoked a pretty sharp rebuke from the states' most powerful medical associations.